The multi-agency workforce that channels $675 billion in grants annually to state and local governments is not being adequately trained, the Government Accountability Office reported. The Office of Management and Budget, the Office of Personnel Management and the Chief Financial Officers Council outlined grants management competencies and created a job series and a career roadmap, according to the Sept. 20 report. 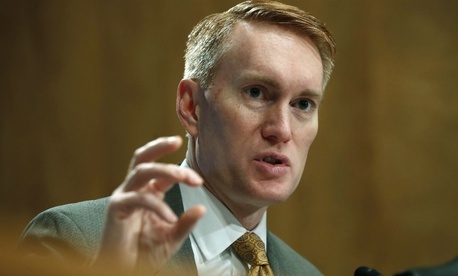 The report, addressed to Sen. James Lankford, R-Okla., is based on reviews of staffing at the Health and Human Services Department (739 grants specialists and 1,851 related staff); the Agriculture Department (317 grants specialists and 5,508 related staff); and the Education Department (545 grants specialists). The reason is that their central offices lack reporting mechanisms to track the sub-agencies’ workforces, and little evaluation takes place, GAO said. OPM, OMB and the chief financial officers have taken steps to beef up training, but did not publicize them sufficiently or collect feedback on their effectiveness. Auditors made five recommendations, among them that OMB work with the chief financial officers to publicize the career roadmap and collect data on the grants workforce. HHS, USDA and Education should establish processes to centrally monitor and evaluate their grants training, including identifying the grants workforce and ensuring consistency with leading practices, GAO continued.